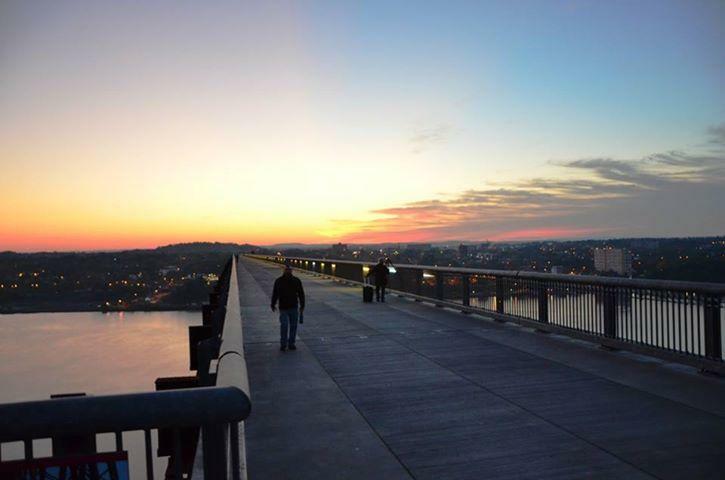 A Walkway Marathon event will take place in June, when nearly 1,500 runners are expected to tread upon the longest elevated pedestrian bridge in the world. 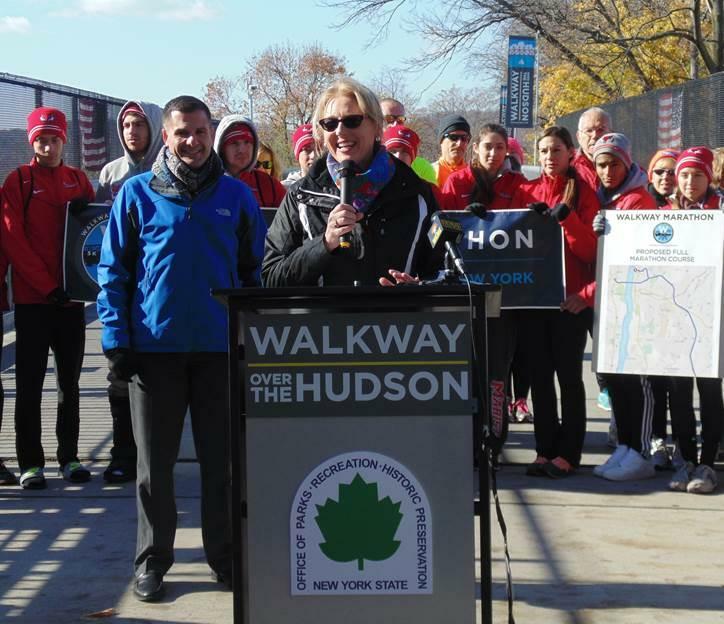 It will be the first annual Walkway Marathon race series for Walkway Over the Hudson, the pedestrian span that runs from Poughkeepsie, in Dutchess County, to Highland, in Ulster County. 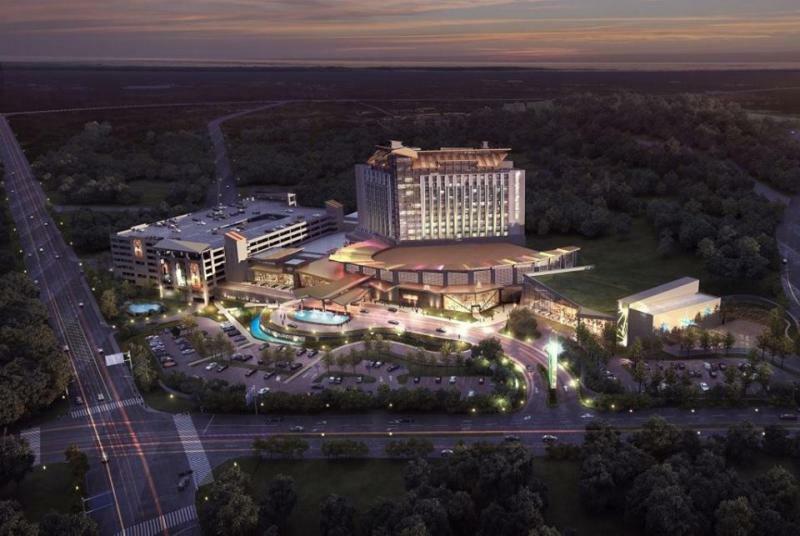 The marathons will build upon the established Treetops to Rooftops 5k event. Keith Axelrod is president of Mid-Hudson Road Runners Club, one of the event’s partners that will help coordinate the races. Dutchess County is another of several Walkway Marathon partners. Here’s Dutchess County Executive Marc Molinaro. The event, which will serve as one of the Walkway organization’s primary fundraisers for 2015, will feature marathon and half-marathon routes that begin at Marist College in Poughkeepsie, include a significant stretch of the William R. Steinhaus Dutchess Rail Trail, and cross over the Walkway Over the Hudson, with a turnaround on the Hudson Valley Rail Trail in Ulster County. Molinaro made a pledge. Paul Hansut is Town of Lloyd supervisor. He pointed to Ulster County Executive Mike Hein’s work on the rail trail network in his county. Walkway Executive Director Elizabeth Waldstein-Hart; Dutchess County Executive Marc Molinaro, left. Organizers also plan to pursue “green certification” for the race from Athletes for a Fit Planet, making it one of the first green marathons in New York. Walkway Executive Director Elizabeth Waldstein-Hart says shuttling runners using Dutchess County government’s public transit system’s hybrid buses, doing away with water cups, composting, and awarding medals made from local, repurposed wood are just some of the planned sustainable practices. A competitive runner for 60 years, Roger Robinson has raced at the elite level, including masters, for almost 30, with record-breaking wins at Boston, New York, Vancouver and other marathons. Robinson, a longtime columnist with Running Times magazine, calls New Paltz home a good part of the year and Wellington, New Zealand the other part. Marathon organizers and partners expect a large economic impact on the region. 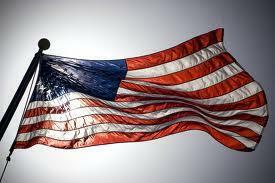 Registration for the June 13th marathon opens December 2. 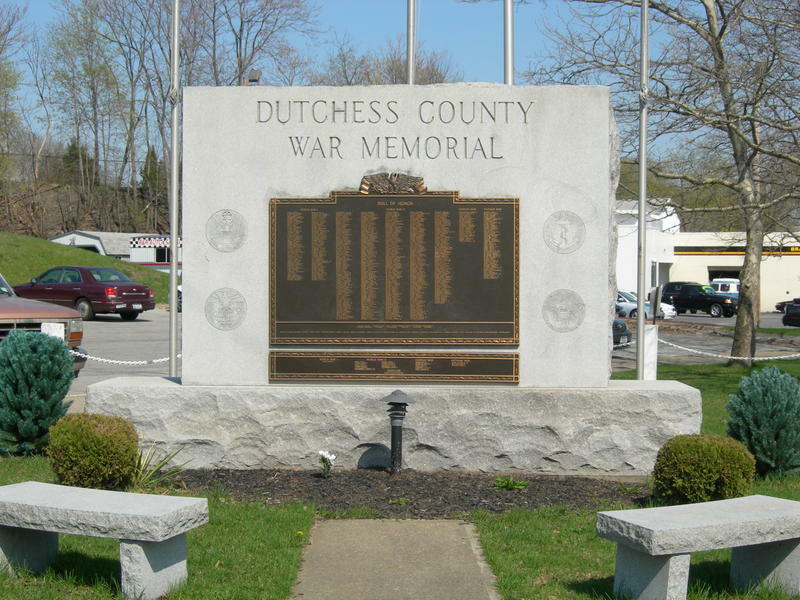 There is a ceremony Monday afternoon in Dutchess County to transfer ownership of a war memorial.